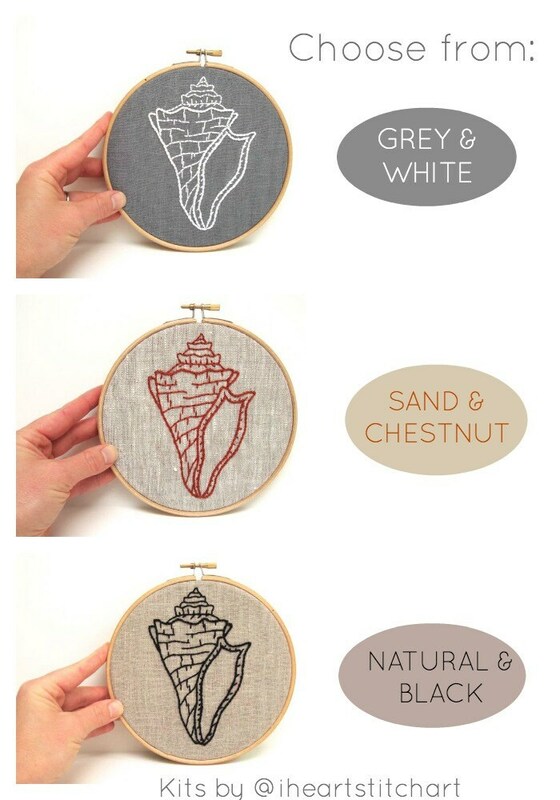 This DIY embroidery kit features a shell pattern, pre-printed on beautiful linen! 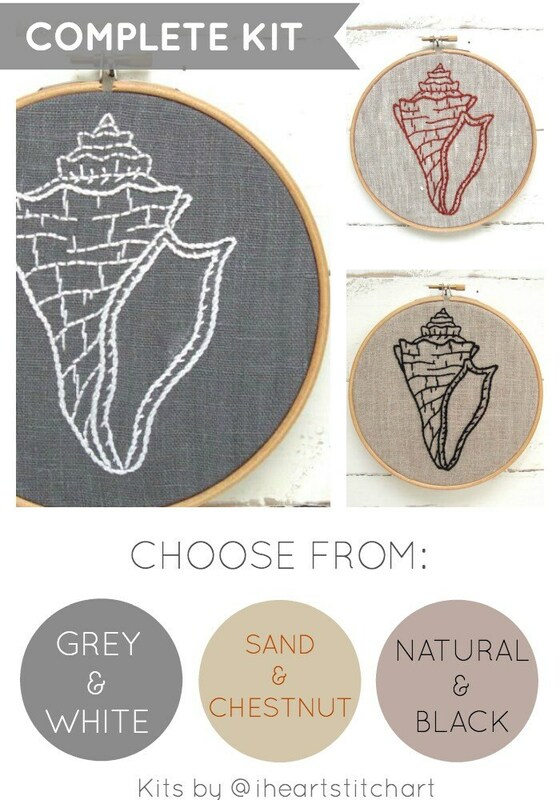 Choose from dove-grey, rustic natural, or sand linen and get started - this complete kit contains everything you'll need! Fabric measures approximately 10.5" x 9"; shell measures 3.5" x 5". Excellent beginner kit. 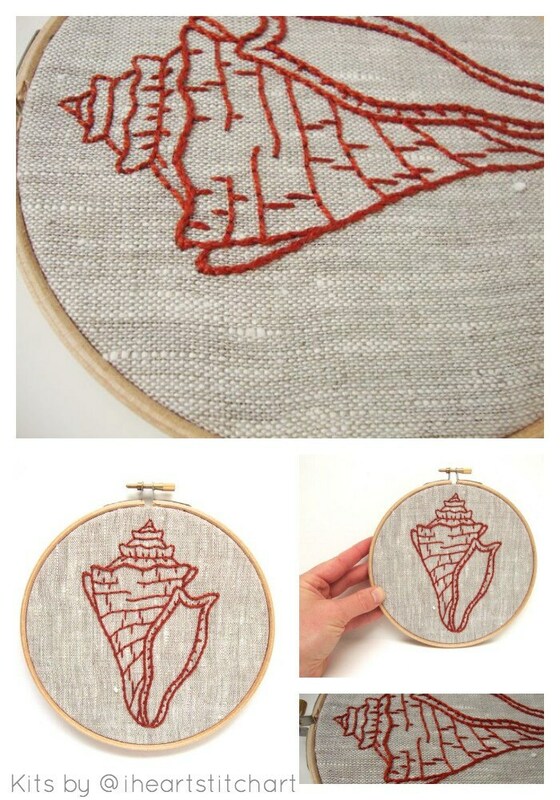 I had some experience sewing but not embroidery. 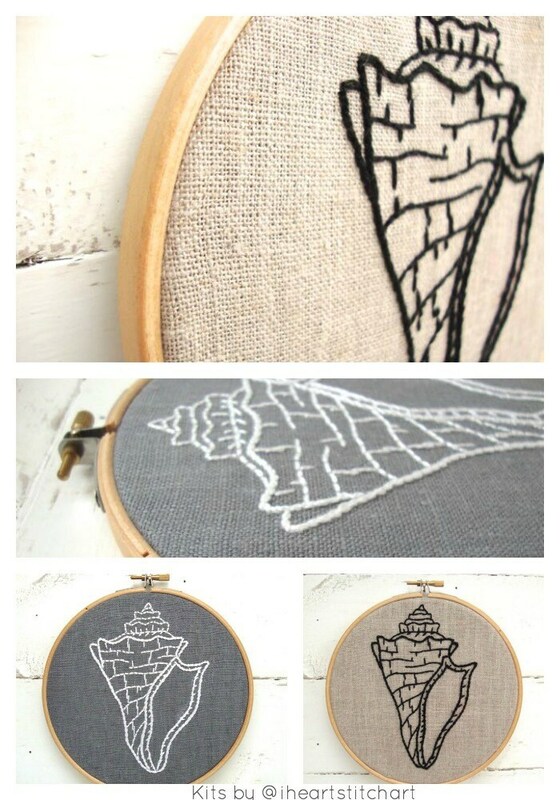 Great beginner instructions and seller was really responsive when I had questions. Wonderful product! 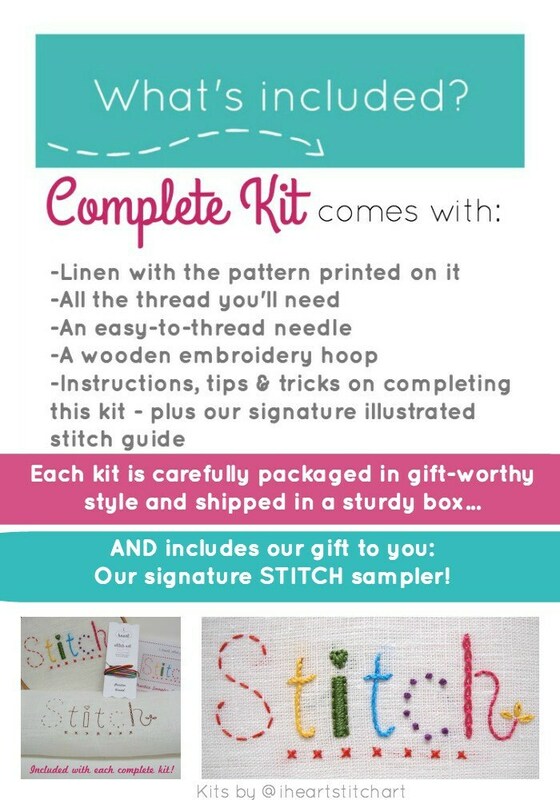 Everything came as ordered and the kit comes with instructions and is easy to use. Love it!